Computer Lab is well designed and spacious where we ensure that students have access to and assistance in the use of computer technology. The lab houses commensurate number of computers with recent versions of the software and internet connection, enabling every child hands on experience. Our trained teachers guide the students through practical applications of different software such as drawing, image and video editing, multimedia and programming languages etc as per class level. The School also has a tie up with NIIT, who monitor the curriculum, software and conduct of assessments for every class from Grade 1-10 at the end of each year. 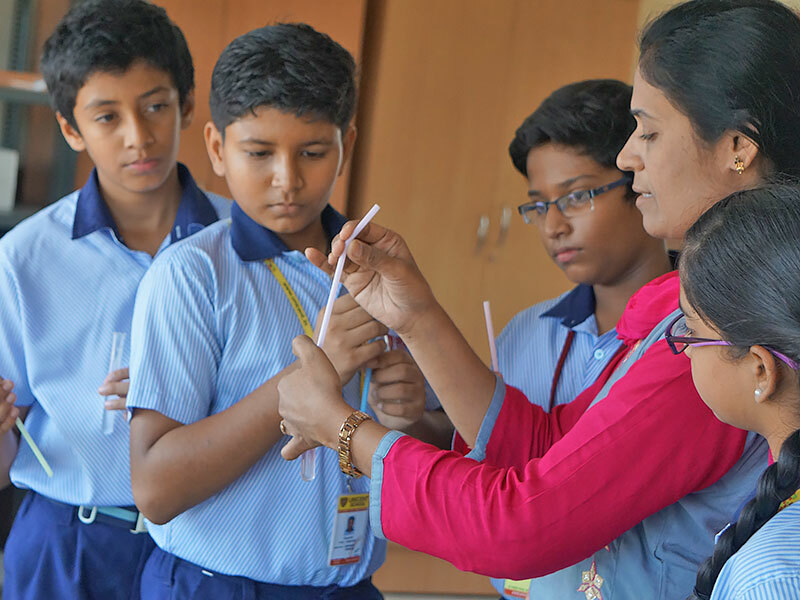 Our Composite Science lab, spaciously set up in large 900sft room, is well equipped with all the relevant instruments, materials and chemicals etc needed for the children up to secondary level, as per their curriculum needs and according to the CBSE guidelines. In addition to these, students of High School are also exposed to Butterfly fields hands on activities, providing more personalized scope of exploring and experimenting in the lab.